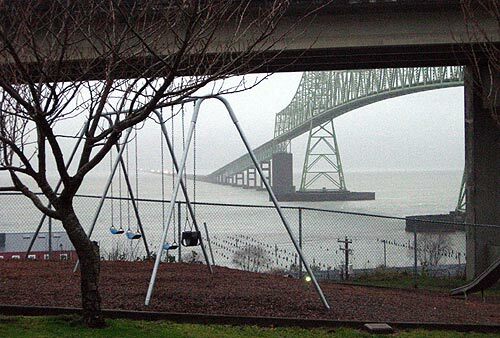 (Astoria, Oregon) – This is where the Oregon coast ends: quite literally. 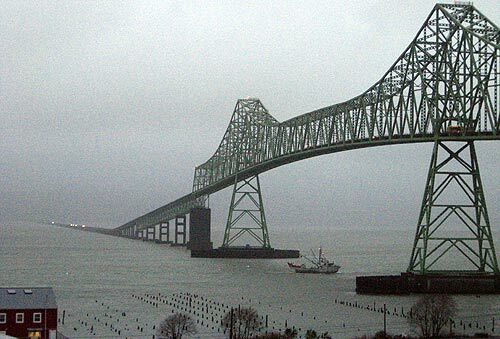 The Columbia River creates the final border between Washington and Oregon, and aside from the ocean beaches that cling to the south jetty of the river, Astoria is the last town considered part of the “Oregon coast.” From here, the most prominent sight is that enormous bridge – one which still remains the longest continuous truss bridge in the entire United States. 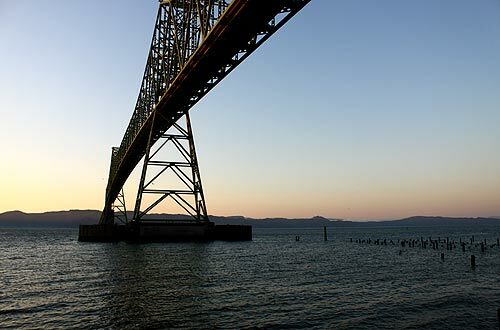 The Astoria-Megler Bridge - named also for the tiny community that actually sits a ways from the Washington entrance of the bridge – stretches 4.1 miles across the river. The main span is a whopping 1,232 feet in length. This stunning beauty was finally dedicated in 1966, after years of bickering and political rangling, where critics called it a “road to nowhere” because of the unpopulated chunk of shoreline on the other side. Construction started in late 1962, with Governor Mark O. Hatfield making the first dig of the shovel. 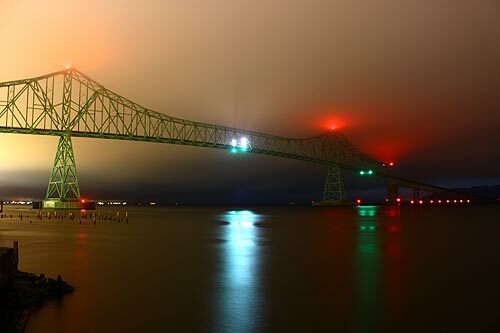 The Astoria-Megler Bridge was designed by William Adair Bugge. The idea was actually dreamed up as early as 1921, when ferry traffic started taking cars and people across. Oregon's government took over that operation in 1946, but locals had been talking about an actual bridge the entire time. It actually did not even operate in bad weather. Finally, in 1961, Astoria's Senator Dan Theil lobbied successfully for the bridge. Once opened, it was a toll bridge – which paid for its creation. In 1993, the toll had fulfilled the debt, but you can still see remnants of the toll booths today. 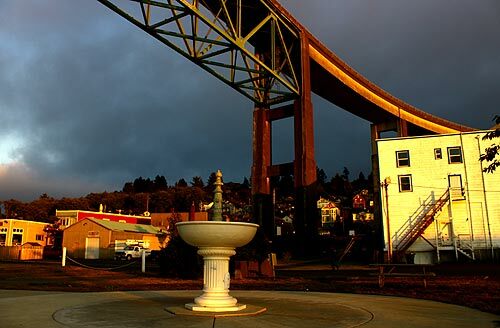 Keeping the bridge in one place during harsh weather or the slide-prone hills of town created another challenge. Storms could batter the thing at 150 mph, and those slippery hills could get provoked by stressing them with the load of the bridge – not to mention raging waters below when whole trees could come barreling down. So the Astoria side of the bridge uses pre-stressed concrete beam spans which are set on concrete piers, and engineered to take all these dangers in mind. Now, nearly two million vehicles per year zoom over its length. One of its more fascinating features is the spiraling on-ramp, where you curl around an entire 360 degrees as you rise up to the height of the bridge – ascending nearly 200 feet in this unique way.